NOTE: I will be releasing a special post on Monday reviewing several limited-release films that have Oscar buzz. Plot: A former pilot is sent on a journey into space to find a new planet for humans because the earth is becoming uninhabitable. Clint Says: This movie is ah-mazing!...Wait...wha? OMG! This is HORRIBLE! I should have known better. When they released the first teaser trailer for this film almost a year ago I was so excited, but I should have known better. Great films don't need to do that. When we found out they were only going to pre-screen this film for movie reviewers and not general audiences, I should have known better. Great movies want as many people to see the film before release date as possible to spread the word. I should have known better. This film clocks in at just shy of three hours. The first 2:15 are some of the most interesting, compelling and spectacular movie magic I've seen in a long time. I was enthralled. I was pulled in hook, line and sinker. 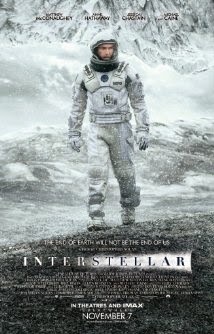 Just like THE DARK KNIGHT films, Christopher Nolan was knocking it out of the park. Then the last 30 minutes of the film made their ugly appearance. I can't even begin to tell you how bad the last 30 minutes of this film were. I sat in stunned silence, mouth agape. I couldn't believe my eyes. How could a Christopher Nolan film with such an incredible cast, and Oscar-worthy acting I might add, fall apart like a spaceship flying into a black hole? There were several moments in the first 2:15 of the film that were odd, like story jumps and plot holes, but I was willing to overlook all of that because the film was so epic. Now I can't unsee any of it. If you really must see this film, (and I can't really blame you because the trailers make it look so good), just watch until they launch the robot into the black hole. At that point, get up and run out of the theater, go to a coffee shop and make up your own ending. You will be so much happier. Plot: A young genius uses a robot and his friends to help solve a mystery. When you get the geniuses from Disney, Pixar, and Marvel all in on a movie you end up with some epic awesomeness. 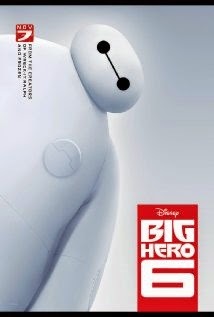 BIG HERO 6 is epic awesomeness. This is a movie that will be inserted into the DVD player a few months from now and set to "Repeat". The animation is crisp, detailed, layered and filled with background fun for those of you that like to search for Marvel Easter Eggs. The story is very well told. It is compelling, emotional, funny and engaging for children and adults. I saw this film in 3D and was pleasantly surprised that they didn't do a lot of the gimmicky 3D-in-your-face stuff that doesn't add anything to the film. That said, you aren't going to miss anything by saving a few bucks and seeing it in a 2D theater. This film is really action-packed and some of it may be a bit too intense for the under 5 crowd, but aside from that, everyone else will enjoy this film. Grab the whole family and go see this as soon as possible.